OZUBULU IN ANAMBRA STATE IS ON FIRE NOW. . .
this morning during 6AM MASS. 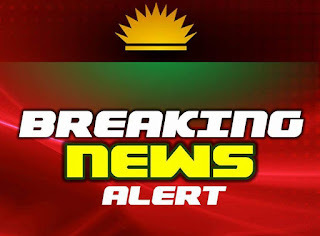 An eyewitness who preferred to remain anonymous said that the gunmen this morning Sunday, August 6th, 2017, invaded St. Philips Catholic Church Ozubulu, in Ekwusigo Local Government of Anambra State, and opened fire on Worshippers. A worshipper who escaped the attack said the gunmen killed many other worshippers, they invaded the church this morning they first turned off the generator supplying electric power to the church before opening fire, killed and injured many before they fled the scene. The death toll is on the increase as the injured and the dead bodies have been taken to Nnamdi Azikiwe Teaching Hospital, Nnewi. Watch after scene video. Viewers discretion is advised.